United States citizenship is the most precious and protected status under the immigration laws. A U.S. citizen enjoys the right to vote in America, and, unlike a lawful permanent resident, a U.S. citizen cannot face removal from the United States and is not required to live in the United States. We represent people in all areas of citizenship, including applications for naturalization and applications for derivative or acquired citizenship. Naturalization is the process by which a foreign national applies to become a U.S. citizen. -you must demonstrate an ability to speak, read, write, and understand English and be able to pass a U.S. history/civics examination (You may be excused from this requirement if you suffer from a mental or physical impairment which prevents you from learning English or U.S. history. Also, if you are over 50 years old and have been a lawful permanent resident for at least 20 years, or if you are over 55 years old and have been a lawful permanent resident for at least 15 years, you may be exempt from the English proficiency requirement and may demonstrate your knowledge of U.S. history and civics in your native language). Lawful permanent residents who have decided to make the United States their permanent home should apply for naturalization so that they may enjoy all the benefits and protections of being a United States citizen. Understanding the value and importance of citizenship, our firm has been instrumental in conveying the message about the naturalization process in the community, including participation in workshops and events to promote citizenship for eligible immigrants. Claims to Derivative or Acquired Citizenship Certain foreign born people are considered by law to be United States citizens either because one or more of their parents were U.S. citizens at the time of their birth abroad or because they were living in the United States as lawful permanent residents and were under 18 when one or more of their parents naturalized. There are many people living in the United States that are U.S. citizens and do not realize it. 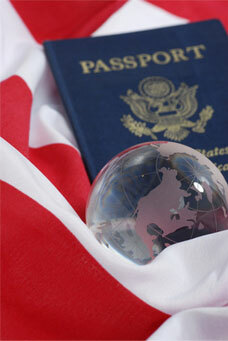 If you believe you may have derived or acquired U.S. citizenship through a parent, call us for a consultation. We will determine if you have a valid claim to U.S. citizenship and may help you to obtain a Certificate of Citizenship and U.S. Passport.